This toddler raglan t-shirt from Bella + Canvas will be your little one's new favorite. Choose your favorite sleeve color, and then add whatever text and art you want to the body to make it one of a kind! 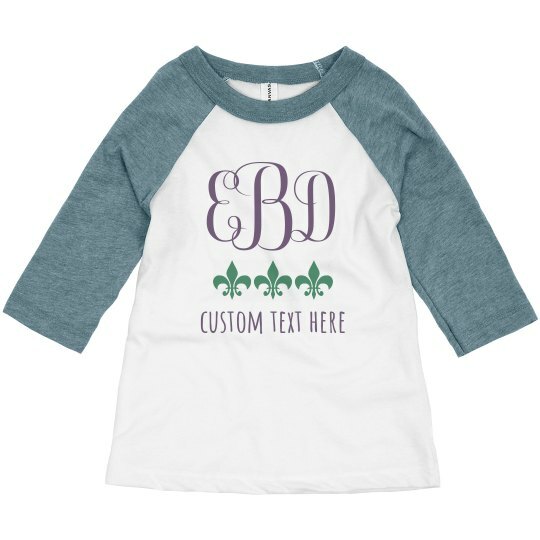 Carnival season is around the corner and it's time to make use of those crafting skills by customizing a shirt for your kids to wear for Mardi Gras. Easily customize one in our design center by uploading your own artwork, image, and text to get into the carnival spirit.